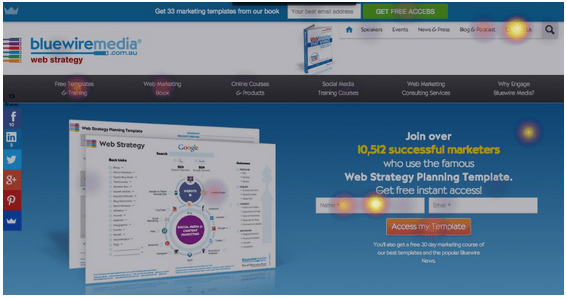 Since I discovered the sheer power of releasing premium content on opt-in landing pages in 2011, we’ve released over 40 marketing templates, e-books, and cheat sheets. Honestly, most people find our tools via Google, so the conversion rates are particularly high since they are in an “active” searching state rather than a “passive” blog reading mode. 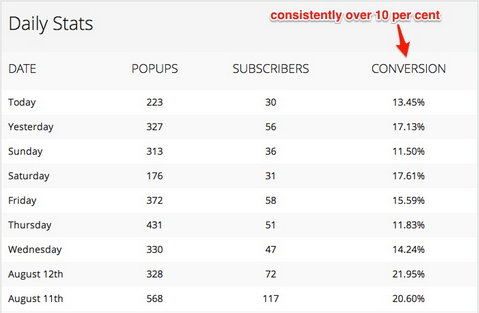 Our overall list building strategy was going well at the start of 2014. Off the back of these templates on landing pages, our website was converting between 6-7% on average and producing 700-800 new email subscribers per month. This was a great starting point, but I wanted to see how we could increase this by making some tweaks to our site. Here are the results as we’re on track to double our list from 13k to 26k within the next twelve months. Listbuilder is super easy to install and free. And it only appears when someone is about to leave your website (it can tell this by when the cursor moves to close a window or to type in a new URL). Plus, you decide if and when it reappears for a regular reader returning to your site. 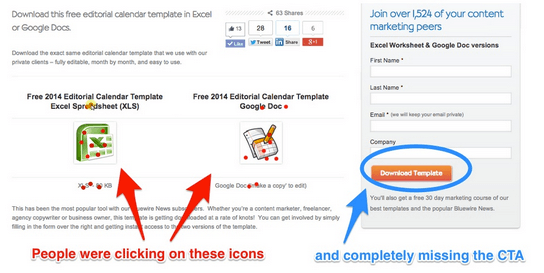 Now you can grow your email list without annoying your readers. Talk about list building best practice! For us, this has been the biggest win of them all. Asking for people’s email address is list-building 101. Here’s how we set ours up. The next best thing I’ve done is fix the leaking tap. In my early days, I made a lot of costly mistakes (which I’ve since fixed), but I was bowled over when I discovered this absolute shocker in July. I installed the paid tool Inspectlet which allowed me to literally watch as people navigated my website. You can from the red dots that see that people were getting distracted (and confused) by the two icons that I placed right in the middle of the page. Those icons aren’t buttons or links and I didn’t want people to focus on them. 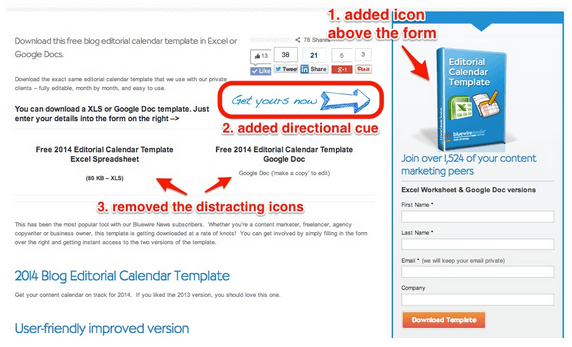 But because they were, no one was seeing the call to action form over on the right hand side. Bummer! I watched video after video of people doing this on my landing page, and my heart dropped. I thought I had half a clue about about landing pages, yet some of mine were getting abandoned because I’d made it too tricky. 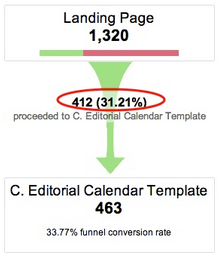 Since making those changes in July, the conversion rates for that landing page improved from 21.2% to 31.2%. This 47% increase equates to an extra 60 email subscribers per month. 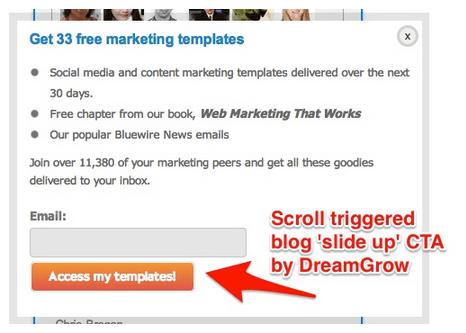 Thanks to the generous content crafters like Kevan Lee over on the Buffer blog, I discovered that they used the DreamGrow plugin for their blog slideup. We installed the DreamGrow plugin to slide up from the bottom right of our blog when a reader has scrolled 70 per cent of the way down the page. This is what it looks like. We’ve kept the offer of the 33 templates the same as everywhere else and it’s performed at a 0.98% conversion rate. It attracts 20 new subscribers each month. Instead of the standard ‘forward to friend’ button (where you excruciatingly need to enter your friend’s email address manually), what if every one of your subscribers simply forwarded your email to just one friend, and they signed up? The impact would be huge! Remember to ask and be specific. This technique helps spread the word, but don’t forget to include a CTA for people who’ve had the email forwarded to them by a friend. At the moment, this is attracting an extra 10 email subscribers per week, on average. After seeing Noah Kagan’s phenomonal list building success with giveaways, we installed the KingSumo Giveway plugin. We ran a contest giving away 25 of our favorite marketing books including Jay Baer’s Youtility. In the first 15 days, 1138 people entered. Of these contest entrants, one-third, or 377 people, were brand new subscribers. It was music to my ears when I got news of the free Smart Bar plugin from AppSumo. 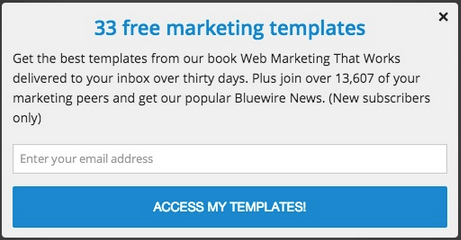 I’ve set it to show up at the top of every page where we offer our 33 free marketing templates. The conversion rate isn’t knocking it out of the park but it’s still getting us an extra handful of subscribers every single day that we weren’t getting previously. Our homepage is our most trafficked page, so any tiny improvements can result in increased results. 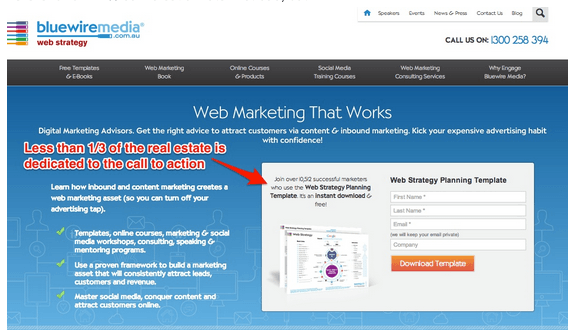 …no one was seeing the call-to-action (according to out heat maps). The call to action was much more obvious and occupied way more of the above-the-fold real estate. Thankfully, it worked reasonably well as you’ll see on the heat map below. By devoting our entire above the fold area to the call to action, it has increased conversions by 47% on our most trafficked page. 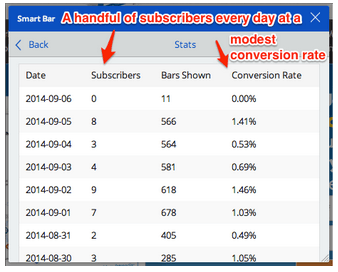 This is a BIG win percentage-wise and for us, it increased new subscribers from 40 to 60 per month. In fact, an even better approach is Noah Kagan’s welcome gate where he removed the main menu on his homepage until after the opt-in form appeared. I’ll try that next. If you are going to the effort of guest blogging, for goodness sake please direct readers back to a landing page where they can opt-in to receive more information on the topic if they want! 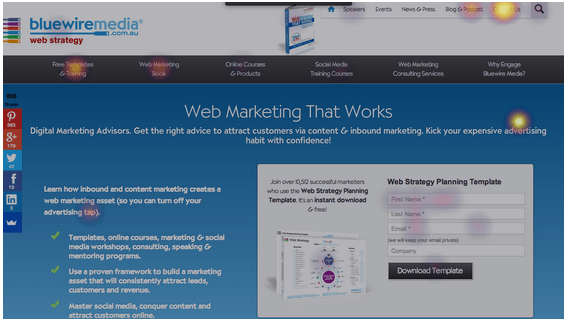 When this landing page article was published by Hubspot, I used the final line of the post to invite interested readers to download a related template. It’s gentle, non-pushy, and very effective. Over 70 readers took up the offer in the first week. All up these things have bumped us up from 7% to 8.2% conversion rate in the last six months. Combined with an increase in traffic from 11,000 to over 16,000 monthly visitors, the absolute number of new email subscribers went from 820 in January to 1,327 in August. Depending on the number of monthly visitors to your website, you may see even better results. What techniques have worked well for you? Please let me know in the comments because the best suggestion wins a copy of my book, Web Marketing That Works. 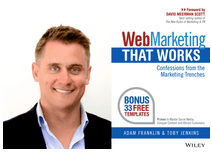 Finally as a gift to Convince and Convert readers, you can download the 33 marketing templates from my book (plus watch an interview I did with Jay a little while back). Come and help yourself!